The CBS Cleaner Tracking App utilises your cleaners Phone GPS to track and monitor their movements during their working hours. Receive accurate time sheet summaries for payroll. Get critical information directly and immediately to your cleaners. Want to know when your cleaners are working? Need an easy way to get accurate work flows? Do you need instant, seameless and verifiable communication directly to your cleaner? The most comprehensive bidding software available today. Software designed to win quotes. Monitor client complaints, non-compliance, quality compliance systems, client details, reminders for client contact. Cleaner GPS Tracking, training, online induction, monitoring, scheduling, performance history, Periodical Task Sign Off. Mobile quality on-site audits with built-in rating system. Upload photos and client comments immediately to your website's dashboard.. The CBS Cleaner Tracking App utilises your cleaners Phone GPS to track and monitor their movements during their working hours. Ask for a quotation. Dont pay for what you dont want. Individualised programs based upon your needs. Cleaners often forget to complete tasks that are not done as part of their daily routine. This is a perennial issue that can create serious issues when a client paying for a service is not receiving the service. CBS have established a seamless integrated Periodical Tasks Sign off process that provides all stakeholders with essential information ensuring Periodical Task are regularly completed. During the course of inputting client specifications, you can input the periodical task. As the Periodical Tasks are added they will automatically be saved into the following locations. The Periodical Page in all portals and the cleaners app, shows the following information. With integrated quality systems and KPI settings. Quality Audits at a glance, with a simple KPI rating system and full client history. Quality Audits immediately uploaded from the clients site to your dashboard where ever you are at any time. Customer relationship management with integrated quality systems and KPI settings. Quality audits immediately uploaded from the client's site to your dashboard where ever you are, at any time. Clients have become more demanding and sophisticated. 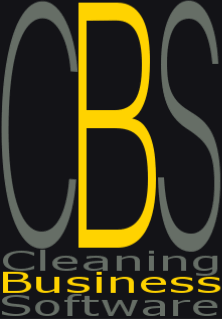 Gone are the days of a hand shake,"leave it with me, everything will be fine" Clients want more transparency, better communications, a valid and ..
Have a look and see what CBS can do for you..
What is Cleaning Database Building Software Melbourne? - CBS To understand how you can improve the management of your business with this software, first it’s important to understand all a..